Contact BMW of Annapolis today for information on dozens of vehicles like this 2019 BMW 2 Series 230i xDrive. This BMW includes: CONVENIENCE PACKAGE Keyless Start HD Radio Auto-Dimming Rearview Mirror Power Passenger Seat Generic Sun/Moonroof Power Driver Seat Satellite Radio Power Door Locks Keyless Entry Passenger Adjustable Lumbar Sun/Moonroof Driver Adjustable Lumbar HEATED FRONT SEATS Heated Front Seat(s) NAVIGATION SYSTEM Smart Device Integration Navigation System Hard Disk Drive Media Storage MP3 Player SUNSET ORANGE METALLIC HEATED STEERING WHEEL Heated Steering Wheel *Note - For third party subscriptions or services, please contact the dealer for more information. * Everyone hates the gas pump. Skip a few gas stations with this super fuel efficient BMW2 Series. Comfort. Performance. Safety. Enjoy all three with this well-appointed AWD 2019 BMW. Where do you need to go today? Just punch it into the BMW 2 Series on-board navigation system and hit the road. We look forward to seeing you soon! Please call us for more information. Contact BMW of Annapolis today for information on dozens of vehicles like this 2018 BMW X2 xDrive28i. This BMW includes: APPLE CARPLAY COMPATIBILITY Smart Device Integration PARK DISTANCE CONTROL Automatic Parking HEATED FRONT SEATS Heated Steering Wheel Heated Front Seat(s) MEDITERRANEAN BLUE METALLIC NAVIGATION BUSINESS Smart Device Integration Navigation System CONVENIENCE PACKAGE Keyless Start HD Radio Hands-Free Liftgate Auto-Dimming Rearview Mirror Universal Garage Door Opener Power Passenger Seat Generic Sun/Moonroof Power Driver Seat Satellite Radio Power Door Locks Keyless Entry Passenger Adjustable Lumbar Sun/Moonroof Power Folding Mirrors Driver Adjustable Lumbar Remote Trunk Release Dual Moonroof *Note - For third party subscriptions or services, please contact the dealer for more information. * This SUV gives you versatility, style and comfort all in one vehicle. Take home this 2018 BMW X2 and enjoy the safety and added performance of AWD. Enjoy the drive without worrying about directions thanks to the built-in navigation system. We look forward to seeing you soon! Please call us for more information. Contact BMW of Annapolis today for information on dozens of vehicles like this 2019 BMW X1 xDrive28i. This BMW includes: CONVENIENCE PACKAGE Keyless Start HD Radio Panoramic Roof Hands-Free Liftgate Auto-Dimming Rearview Mirror Universal Garage Door Opener Power Passenger Seat Generic Sun/Moonroof Power Driver Seat Satellite Radio Power Door Locks Keyless Entry Passenger Adjustable Lumbar Sun/Moonroof Power Folding Mirrors Driver Adjustable Lumbar Remote Trunk Release LED HEADLIGHTS W/CORNERING LIGHTS Headlights-Auto-Leveling MINERAL GREY METALLIC HEATED FRONT SEATS Heated Steering Wheel Heated Front Seat(s) *Note - For third party subscriptions or services, please contact the dealer for more information. * This SUV gives you versatility, style and comfort all in one vehicle. This AWD-equipped vehicle will handle beautifully on any terrain and in any weather condition your may find yourself in. The benefits of driving an all wheel drive vehicle, such as this BMW X1 xDrive28i, include superior acceleration, improved steering, and increased traction and stability. This is about the time when you're saying it is too good to be true, and let us be the one's to tell you, it is absolutely true. We look forward to seeing you soon! Please call us for more information. This 2019 BMW X1 xDrive28i is offered to you for sale by BMW of Annapolis. This BMW includes: CONVENIENCE PACKAGE Keyless Start HD Radio Panoramic Roof Hands-Free Liftgate Auto-Dimming Rearview Mirror Universal Garage Door Opener Power Passenger Seat Generic Sun/Moonroof Power Driver Seat Satellite Radio Power Door Locks Keyless Entry Passenger Adjustable Lumbar Sun/Moonroof Power Folding Mirrors Driver Adjustable Lumbar Remote Trunk Release LED HEADLIGHTS W/CORNERING LIGHTS Headlights-Auto-Leveling MINERAL GREY METALLIC HEATED FRONT SEATS Heated Steering Wheel Heated Front Seat(s) *Note - For third party subscriptions or services, please contact the dealer for more information. * This SUV gives you versatility, style and comfort all in one vehicle. When the BMW X1 xDrive28i was created, it was automatically enhanced by having the performance ability of all wheel drive. Not only will you notice improved steering and superior acceleration, but you can also rest easy knowing that your vehicle comes standard with increased stability and safety. There is no reason why you shouldn't buy this BMW X1 xDrive28i. It is incomparable for the price and quality. We look forward to seeing you soon! Please call us for more information. You can find this 2019 BMW X1 xDrive28i and many others like it at BMW of Annapolis. REBATES INCLUDED USING BMW FS ON APPROVED CREDIT** This BMW includes: CONVENIENCE PACKAGE Keyless Start HD Radio Panoramic Roof Hands-Free Liftgate Auto-Dimming Rearview Mirror Universal Garage Door Opener Power Passenger Seat Generic Sun/Moonroof Power Driver Seat Satellite Radio Power Door Locks Keyless Entry Passenger Adjustable Lumbar Sun/Moonroof Power Folding Mirrors Driver Adjustable Lumbar Remote Trunk Release LED HEADLIGHTS W/CORNERING LIGHTS Headlights-Auto-Leveling MINERAL GREY METALLIC HEATED FRONT SEATS Heated Steering Wheel Heated Front Seat(s) *Note - For third party subscriptions or services, please contact the dealer for more information. * Want more room? Want more style? This BMW X1 is the vehicle for you. This BMW X1 is equipped with AWD for improved handling. Whether you're faced with inclement weather or just out enjoying the twisting back road, you'll have the grip of AWD on your side. This is about the time when you're saying it is too good to be true, and let us be the one's to tell you, it is absolutely true. We look forward to seeing you soon! Please call us for more information. We are excited to offer this 2018 BMW 4 Series. This BMW includes: PREMIUM PACKAGE Navigation System Heated Front Seat(s) Hard Disk Drive Media Storage MP3 Player BLACK SAPPHIRE METALLIC ESSENTIALS PACKAGE Rear Parking Aid M SPORT PACKAGE Tires - Front Performance Aluminum Wheels Leather Steering Wheel Tires - Rear Performance BLACK/DARK OYSTER, DAKOTA LEATHER UPHOLSTERY Leather Seats *Note - For third party subscriptions or services, please contact the dealer for more information. * Drive home in your new pre-owned vehicle with the knowledge you're fully backed by the CARFAX Buyback Guarantee. Why does this vehicle look so great? The CARFAX report shows it's only been owned by one owner. Sophistication & understated luxury comes standard on this BMW 4 Series 440i. Well-known by many, the 4 Series has become a household name in the realm of quality and prestige. Stylish and fuel efficient. It's the perfect vehicle for keeping your fuel costs down and your driving enjoying up. Marked by excellent quality and features with unmistakable refined leather interior that added value and class to the BMW 4 Series You'll quickly realize how much you will need a navigation system once you are stopping for directions or looking up addresses on your phone instead of looking at the road. This BMW 4 Series 440i features a navigation system that will free you of these unnecessary headaches. This vehicle comes with an extra bonus: past service records are included. This pre-owned BMW 4 Series looks like new with a clean interior that's been well-kept. A vehicle as well-maintained as this BMW 4 Series almost doesn't need a warranty, but you rest easier knowing it comes covered with the BMW factory warranty. Fast and exciting, this BMW 4 Series 440i is a true testament to the pursuit of automotive distinction by BMW. Once you're behind the wheel of this incredible machine, you will not think twice about purchasing this vehicle. Class defining, one-of-a-kind options are the standard with this BMW 4 Series plus much, much more. We look forward to seeing you soon! Please call us for more information. r more information. This 2019 BMW X1 xDrive28i is proudly offered by BMW of Annapolis This BMW includes: CONVENIENCE PACKAGE Keyless Start HD Radio Panoramic Roof Hands-Free Liftgate Auto-Dimming Rearview Mirror Universal Garage Door Opener Power Passenger Seat Generic Sun/Moonroof Power Driver Seat Satellite Radio Power Door Locks Keyless Entry Passenger Adjustable Lumbar Sun/Moonroof Power Folding Mirrors Driver Adjustable Lumbar Remote Trunk Release MINERAL WHITE METALLIC LUXURY PACKAGE Woodgrain Interior Trim HEATED FRONT SEATS Heated Steering Wheel Heated Front Seat(s) PARKING ASSISTANT Automatic Parking *Note - For third party subscriptions or services, please contact the dealer for more information. * Want more room? Want more style? This BMW X1 is the vehicle for you. This AWD-equipped vehicle handles well in any weather condition or terrain. You'll benefit from superb handling, improved steering and excellent acceleration. You can finally stop searching... You've found the one you've been looking for. We look forward to seeing you soon! Please call us for more information. Contact BMW of Annapolis today for information on dozens of vehicles like this 2019 BMW X3 xDrive30i. This BMW includes: HEATED FRONT SEATS Heated Front Seat(s) PANORAMIC MOONROOF Generic Sun/Moonroof Sun/Moonroof Dual Moonroof DRIVING ASSISTANCE PACKAGE Lane Departure Warning Blind Spot Monitor Cross-Traffic Alert HEATED STEERING WHEEL Heated Steering Wheel NAVIGATION SYSTEM Smart Device Integration Navigation System Automatic Parking Hard Disk Drive Media Storage MP3 Player WHEELS: 19 Tires - Front Performance Aluminum Wheels Tires - Rear Performance *Note - For third party subscriptions or services, please contact the dealer for more information. * Want more room? Want more style? This BMW X3 is the vehicle for you. You appreciate the finer things in life, the vehicle you drive should not be the exception. Style, performance, sophistication is in a class of its own with this stunning BMW X3. You'll love the feel of AWD in this 2019 BMW X3. It provides a perfect balance of handling power and control in virtually every driving condition. This BMW X3 is equipped with navigation, so you no longer have to wonder if you're headed in the right direction. We look forward to seeing you soon! Please call us for more information. Contact BMW of Annapolis today for information on dozens of vehicles like this 2018 BMW X2 xDrive28i. This BMW includes: OYSTER, DAKOTA LEATHER UPHOLSTERY Leather Seats HEATED FRONT SEATS Heated Steering Wheel Heated Front Seat(s) M SPORTX PACKAGE Keyless Start 8-Speed A/T Transmission w/Dual Shift Mode HD Radio Tires - Front Performance Aluminum Wheels Hands-Free Liftgate Auto-Dimming Rearview Mirror Universal Garage Door Opener Power Passenger Seat Generic Sun/Moonroof Power Driver Seat Satellite Radio Power Door Locks Keyless Entry Passenger Adjustable Lumbar Tires - Rear Performance Sun/Moonroof A/T Power Folding Mirrors Driver Adjustable Lumbar Remote Trunk Release Dual Moonroof BLACK SAPPHIRE METALLIC *Note - For third party subscriptions or services, please contact the dealer for more information. * Want more room? Want more style? This BMW X2 is the vehicle for you. When the BMW X2 xDrive28i was created, it was automatically enhanced by having the performance ability of all wheel drive. Not only will you notice improved steering and superior acceleration, but you can also rest easy knowing that your vehicle comes standard with increased stability and safety. Marked by excellent quality and features with unmistakable refined leather interior that added value and class to the BMW X2 We look forward to seeing you soon! Please call us for more information. This 2019 BMW X1 xDrive28i is proudly offered by BMW of Annapolis This BMW includes: CONVENIENCE PACKAGE Keyless Start HD Radio Panoramic Roof Hands-Free Liftgate Auto-Dimming Rearview Mirror Universal Garage Door Opener Power Passenger Seat Generic Sun/Moonroof Power Driver Seat Satellite Radio Power Door Locks Keyless Entry Passenger Adjustable Lumbar Sun/Moonroof Power Folding Mirrors Driver Adjustable Lumbar Remote Trunk Release PREMIUM PACKAGE Navigation System Heated Front Seat(s) Heads-Up Display Headlights-Auto-Leveling MINERAL GREY METALLIC PARKING ASSISTANT Automatic Parking BLACK, DAKOTA LEATHER UPHOLSTERY Leather Seats *Note - For third party subscriptions or services, please contact the dealer for more information. * Want more room? Want more style? This BMW X1 is the vehicle for you. No matter the weather conditions or terrain, this Mineral Grey Metallic AWD BMW X1 handles with an elegant confidence. Fine interior appointments complement this vehicle's unprecedented performance. Enjoy the drive without worrying about directions thanks to the built-in navigation system. Added comfort with contemporary style is the leather interior to heighten the quality and craftsmanship for the BMW X1 We look forward to seeing you soon! Please call us for more information. This outstanding example of a 2019 BMW X1 xDrive28i is offered by BMW of Annapolis. Want more room? Want more style? This BMW X1 is the vehicle for you. This BMW X1 xDrive28i comes equipped with all wheel drive, which means no limitations as to how or where you can drive. Different terrains and varying weather conditions will have little effect as to how this vehicle performs. The look is unmistakably BMW, the smooth contours and cutting-edge technology of this BMW X1 xDrive28i will definitely turn heads. Beautiful color combination with Mediterranean Blue Metallic exterior over Black interior making this the one to own! We look forward to seeing you soon! Please call us for more information. This outstanding example of a 2018 BMW X2 xDrive28i is offered by BMW of Annapolis. This BMW includes: APPLE CARPLAY COMPATIBILITY Smart Device Integration SPACE-SAVER SPARE Temporary Spare Tire HEATED FRONT SEATS Heated Steering Wheel Heated Front Seat(s) M SPORTX PACKAGE Keyless Start 8-Speed A/T Transmission w/Dual Shift Mode HD Radio Tires - Front Performance Aluminum Wheels Hands-Free Liftgate Auto-Dimming Rearview Mirror Universal Garage Door Opener Power Passenger Seat Generic Sun/Moonroof Power Driver Seat Satellite Radio Power Door Locks Keyless Entry Passenger Adjustable Lumbar Tires - Rear Performance Sun/Moonroof A/T Power Folding Mirrors Driver Adjustable Lumbar Remote Trunk Release Dual Moonroof NAVIGATION BUSINESS Smart Device Integration Navigation System BLACK, DAKOTA LEATHER UPHOLSTERY Leather Seats *Note - For third party subscriptions or services, please contact the dealer for more information. * Want more room? Want more style? This BMW X2 is the vehicle for you. This vehicle has an added performance bonus: AWD. It improves handling on those winding back roads, and gives you added safety and control when driving through wet and snow weather conditions. Where do you need to go today? Just punch it into the BMW X2 on-board navigation system and hit the road. Added comfort with contemporary style is the leather interior to heighten the quality and craftsmanship for the BMW X2 We look forward to seeing you soon! Please call us for more information. Contact BMW of Annapolis today for information on dozens of vehicles like this 2018 BMW 3 Series 328d xDrive. This BMW includes: VENETIAN BEIGE/DK. OYSTER, DAKOTA LEATHER UPHOLSTERY Leather Seats JET BLACK SHADOW SPORT EDITION Tires - Front Performance Tires - Rear Performance INCREASED TOP SPEED LIMITER CONVENIENCE PACKAGE Keyless Start HD Radio Hands-Free Liftgate Power Passenger Seat Generic Sun/Moonroof Power Driver Seat Satellite Radio Power Door Locks Keyless Entry Passenger Adjustable Lumbar Sun/Moonroof Driver Adjustable Lumbar Remote Trunk Release NAVIGATION SYSTEM Navigation System Hard Disk Drive Media Storage MP3 Player HEATED FRONT SEATS Heated Front Seat(s) HEATED STEERING WHEEL Heated Steering Wheel APPLE CARPLAY COMPATIBILITY Smart Device Integration *Note - For third party subscriptions or services, please contact the dealer for more information. * You appreciate the finer things in life, the vehicle you drive should not be the exception. Style, performance, sophistication is in a class of its own with this stunning BMW 3 Series. Start enjoying more time in your new ride and less time at the gas station with this 2018 BMW 3 Series. No matter the varying terrain or weather conditions, this all-wheel drive vehicle will help you reach your destination safely and securely in a well-appointed cabin with many features found on cars twice the price. Enjoy the drive without worrying about directions thanks to the built-in navigation system. Marked by excellent quality and features with unmistakable refined leather interior that added value and class to the BMW 3 Series We look forward to seeing you soon! Please call us for more information. Contact BMW of Annapolis today for information on dozens of vehicles like this 2019 BMW 3 Series 330i xDrive. This BMW includes: LIVE COCKPIT PRO Smart Device Integration PARK DISTANCE CONTROL Rear Parking Aid HEATED STEERING WHEEL Heated Steering Wheel HEATED FRONT SEATS Heated Front Seat(s) BLACK SAPPHIRE METALLIC DRIVING ASSISTANCE PACKAGE Lane Departure Warning Blind Spot Monitor *Note - For third party subscriptions or services, please contact the dealer for more information. * You appreciate the finer things in life, the vehicle you drive should not be the exception. Style, performance, sophistication is in a class of its own with this stunning BMW 3 Series. Everyone hates the gas pump. Skip a few gas stations with this super fuel efficient BMW3 Series. Navigate through all the icky weather with ease in this AWD-equipped BMW 3 Series, and even get non-stop traction for your non-stop lifestyle! In addition to the amazing traction control, you may even qualify for an insurance reduction with this AWD vehicle. We look forward to seeing you soon! Please call us for more information. This 2019 BMW 5 Series 530i xDrive is offered to you for sale by BMW of Annapolis. PRICE INCLUDES FINANCING WITH BMW FS, ON APPROVED CREDIT This BMW includes: HEATED STEERING WHEEL Heated Steering Wheel CONVENIENCE PACKAGE Keyless Start HD Radio Hands-Free Liftgate Heated Front Seat(s) Satellite Radio Power Door Locks Keyless Entry Remote Trunk Release BLACK SAPPHIRE METALLIC *Note - For third party subscriptions or services, please contact the dealer for more information. * Pull up in the vehicle and the valet will want to parked on the front row. This BMW 5 Series is the vehicle others dream to own. Don't miss your chance to make it your new ride. This BMW 5 Series is equipped with AWD for improved handling. Whether you're faced with inclement weather or just out enjoying the twisting back road, you'll have the grip of AWD on your side. Beautiful color combination with Black Sapphire Metallic exterior over Black interior making this the one to own! We look forward to seeing you soon! Please call us for more information. This 2019 BMW X3 xDrive30i is offered to you for sale by BMW of Annapolis. This BMW includes: HEATED FRONT SEATS Heated Front Seat(s) MINERAL WHITE METALLIC DRIVING ASSISTANCE PACKAGE Lane Departure Warning Blind Spot Monitor Cross-Traffic Alert CONVENIENCE PACKAGE Keyless Start HD Radio Hands-Free Liftgate Power Passenger Seat Generic Sun/Moonroof Power Driver Seat Satellite Radio Power Door Locks Keyless Entry HID headlights Passenger Adjustable Lumbar Sun/Moonroof Driver Adjustable Lumbar Remote Trunk Release Dual Moonroof HEATED STEERING WHEEL Heated Steering Wheel NAVIGATION SYSTEM Smart Device Integration Navigation System Automatic Parking Hard Disk Drive Media Storage MP3 Player BLACK W/CONTRAST, VERNASCA LEATHER UPHOLSTERY Leather Seats WHEELS: 19 Tires - Front Performance Aluminum Wheels Tires - Rear Performance *Note - For third party subscriptions or services, please contact the dealer for more information. * Want more room? Want more style? This BMW X3 is the vehicle for you. Pull up in the vehicle and the valet will want to parked on the front row. This BMW X3 is the vehicle others dream to own. Don't miss your chance to make it your new ride. Hit the gas pedal and put the engine power to all four wheels. With AWD, you'll have the greater performance right off the line, everytime you drive. This BMW X3 is equipped with navigation, so you no longer have to wonder if you're headed in the right direction. Marked by excellent quality and features with unmistakable refined leather interior that added value and class to the BMW X3 We look forward to seeing you soon! Please call us for more information. BMW of Annapolis is excited to offer this 2019 BMW 4 Series. This BMW includes: MINERAL GRAY METALLIC HEATED STEERING WHEEL Heated Steering Wheel CONVENIENCE PACKAGE Power Passenger Seat Power Driver Seat Heated Front Seat(s) Passenger Adjustable Lumbar Blind Spot Monitor Driver Adjustable Lumbar HARMAN/KARDON SURROUND SOUND SYSTEM Premium Sound System *Note - For third party subscriptions or services, please contact the dealer for more information. * You deserve a vehicle designed for higher expectations. This BMW 4 Series delivers with a luxurious, well-appointed interior and world-class engineering. Few vehicles can match the safety and comfort of this AWD BMW 4 Series 430i xDrive. With enhanced performance, refined interior and exceptional fuel efficiency, this AWD BMW is in a class of its own. You've found the one you've been looking for. Your dream car. We look forward to seeing you soon! Please call us for more information. You can find this 2019 BMW X3 xDrive30i and many others like it at BMW of Annapolis. This BMW includes: HEATED FRONT SEATS Heated Front Seat(s) DRIVING ASSISTANCE PACKAGE Lane Departure Warning Blind Spot Monitor Cross-Traffic Alert CONVENIENCE PACKAGE Keyless Start HD Radio Hands-Free Liftgate Power Passenger Seat Generic Sun/Moonroof Power Driver Seat Satellite Radio Power Door Locks Keyless Entry HID headlights Passenger Adjustable Lumbar Sun/Moonroof Driver Adjustable Lumbar Remote Trunk Release Dual Moonroof DARK GRAPHITE METALLIC HEATED STEERING WHEEL Heated Steering Wheel NAVIGATION SYSTEM Smart Device Integration Navigation System Automatic Parking Hard Disk Drive Media Storage MP3 Player WHEELS: 19 Tires - Front Performance Aluminum Wheels Tires - Rear Performance *Note - For third party subscriptions or services, please contact the dealer for more information. * Want more room? Want more style? This BMW X3 is the vehicle for you. Pull up in the vehicle and the valet will want to parked on the front row. This BMW X3 is the vehicle others dream to own. Don't miss your chance to make it your new ride. This BMW X3 is equipped with AWD for improved handling. Whether you're faced with inclement weather or just out enjoying the twisting back road, you'll have the grip of AWD on your side. Put away your phone and focus on the road, your new vehicle has navigation. We look forward to seeing you soon! Please call us for more information. 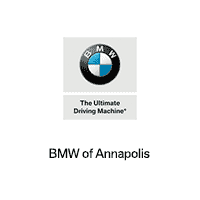 BMW of Annapolis is excited to offer this 2019 BMW 3 Series. This BMW includes: LIVE COCKPIT PRO Smart Device Integration PARK DISTANCE CONTROL Rear Parking Aid CONVENIENCE PACKAGE Keyless Start HD Radio Lane Departure Warning Hands-Free Liftgate Power Passenger Seat Power Driver Seat Satellite Radio Power Door Locks Keyless Entry Passenger Adjustable Lumbar Blind Spot Monitor Driver Adjustable Lumbar Remote Trunk Release HEATED STEERING WHEEL Heated Steering Wheel HEATED FRONT SEATS Heated Front Seat(s) SPACE-SAVER SPARE Temporary Spare Tire MEDITERRANEAN BLUE METALLIC *Note - For third party subscriptions or services, please contact the dealer for more information. * Today's luxury vehicle is not just about opulence. It's about a perfect balance of performance, comfort and attention to detail. This 2019 BMW 3 Series is the perfect example of the modern luxury. Start enjoying more time in your new ride and less time at the gas station with this 2019 BMW 3 Series. This vehicle has an added performance bonus: AWD. It improves handling on those winding back roads, and gives you added safety and control when driving through wet and snow weather conditions. We look forward to seeing you soon! Please call us for more information. This 2019 BMW 3 Series 330i xDrive is offered to you for sale by BMW of Annapolis. This BMW includes: LIVE COCKPIT PRO Smart Device Integration PARK DISTANCE CONTROL Rear Parking Aid CONVENIENCE PACKAGE Keyless Start HD Radio Lane Departure Warning Hands-Free Liftgate Power Passenger Seat Power Driver Seat Satellite Radio Power Door Locks Keyless Entry Passenger Adjustable Lumbar Blind Spot Monitor Driver Adjustable Lumbar Remote Trunk Release HEATED STEERING WHEEL Heated Steering Wheel HEATED FRONT SEATS Heated Front Seat(s) SPACE-SAVER SPARE Temporary Spare Tire *Note - For third party subscriptions or services, please contact the dealer for more information. * Pull up in the vehicle and the valet will want to parked on the front row. This BMW 3 Series is the vehicle others dream to own. Don't miss your chance to make it your new ride. Stylish and fuel efficient. It's the perfect vehicle for keeping your fuel costs down and your driving enjoying up. Enhanced performance, a refined interior and exceptional fuel economy are just a few of the things you'll enjoy about this all-wheel drive vehicle. We look forward to seeing you soon! Please call us for more information. Certain vehicles listed may not be available, or may have different prices, or be equipped with dealer installed options at an additional charge. Prices exclude state tax, license, document preparation fee, smog fee, and finance charges, if applicable. Vehicle option and pricing are subject to change. Prices include all dealer rebates and dealer incentives. Pricing and availability varies by dealership. Please check with your dealer for more information. Prices do not include dealer charges, such as advertising, that can vary by manufacturer or region, or costs for selling, preparing, displaying or financing the vehicle. Information provided is believed accurate but specifications, pricing, and availability must be confirmed in writing (directly) with the dealer to be binding. Neither the Dealer nor Dealer Inspire is responsible for any inaccuracies contained herein and by using this application you the customer acknowledge the foregoing and accept such terms.